The next generation of Heavy Duty Engine Oils is coming, establishing new industry standards to deliver significant improvements in engine protection and fuel economy. On December 1, 2016, two new categories of oil standards will be licensed: API CK-4 and FA-4. In the development phase, these oils have been referred to as PC-11A and PC-11B respectively. In the months leading up to the licensing of API CK-4 and FA-4, new information will become available. Bookmark this site, and return regularly for ongoing updates. Have a question? We have Chevron’s experts here to assist you. 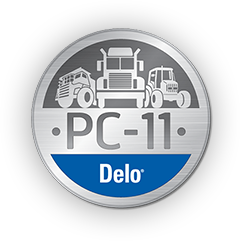 Click here to see an ongoing Question and Answer series created to help prepare you for the transition to PC-11.